"The Earth is the cradle of mankind, but one cannot stay in the cradle forever." SimKind has looked up to the stars for generations... shooting stars, UFOs, orbiting satellites, and all sorts of other things hang there, just out of reach. Well, that's just not going to be good enough for some Sims. There have always been those who wanted to push the frontiers, to go farther, to travel beyond the horizon, and today, that horizon has moved up into the far reaches of the cosmos. Spacecraft and orbiting space stations have proved that life can be sustained beyond the thin filament of atmosphere in which SimKind has always lived, and as the understanding of the vast reaches of space and the alien environments of other worlds has increased, the drive to settle beyond the blue marble of their ancestors has increased. Now, nearby bodies like Mars have all the resources needed for survival, it's just a question of having them in the right amounts! 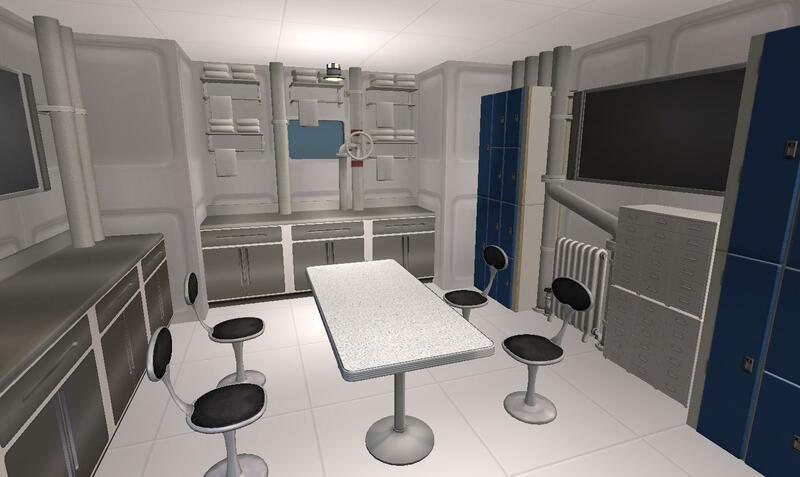 The atmosphere there is far too thin and far to heavy with CO2 to be breathable on its own, but an enclosed dome allows for oxygen and nitrogen to be processed out of it, and contained within a pressurized space that allows for Sims to breathe comfortably without the need for bulky spacesuits. Colonies built on the surface of other worlds will inevitably start out either underground or in domes like these, allowing for a secure source of breathable atmosphere for those living among the stars. 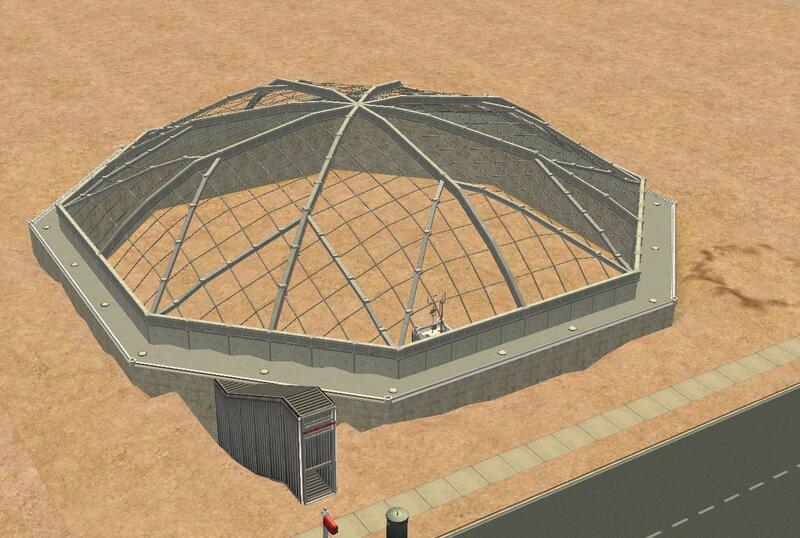 Building a structure within one of these domes will require a slightly different approach than just building a structure out in the open would, so here I'll give you a quick primer in how to do it without distorting the dome or your Sims' future homes! 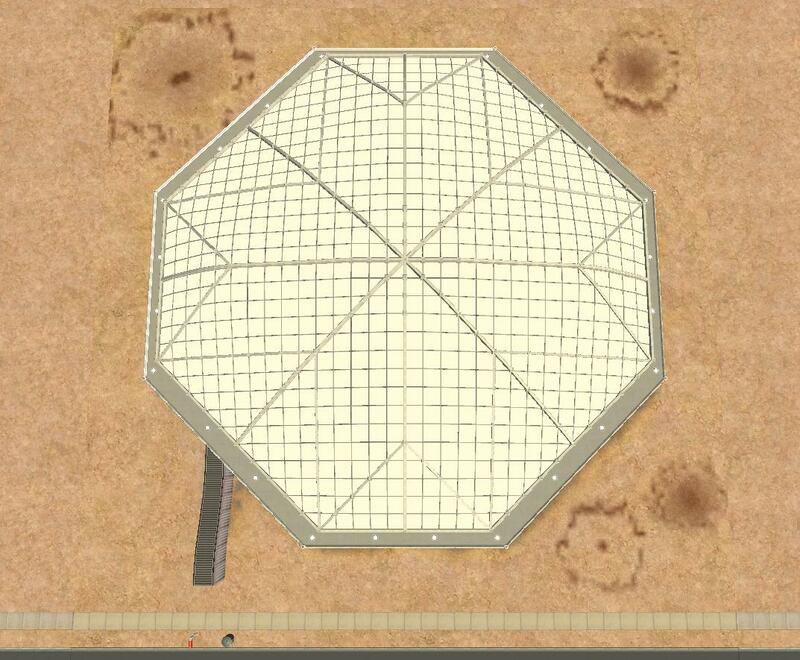 First things first- the images in this description show the domes with their floor tile "shells" removed. 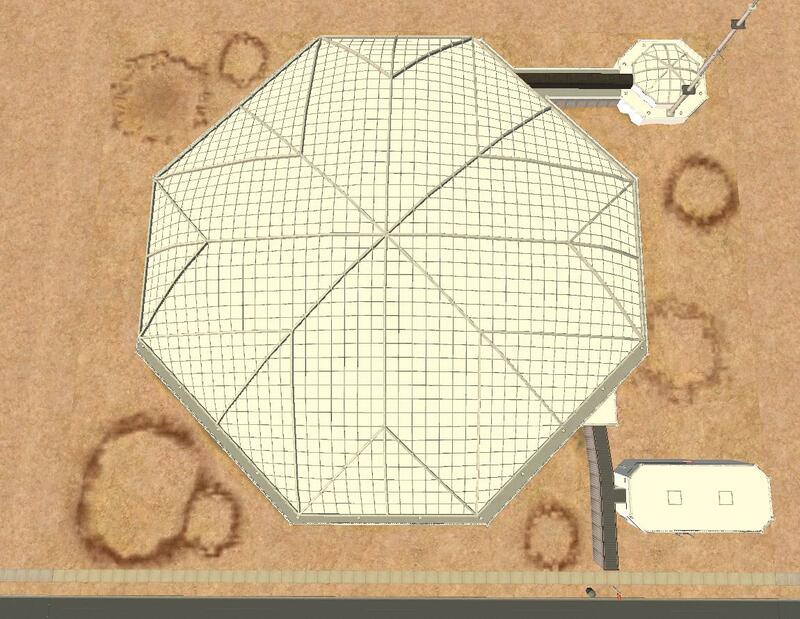 This is so you can get a better idea what it'll look like once you're done with your construction inside the dome. The files uploaded still have those shells included. 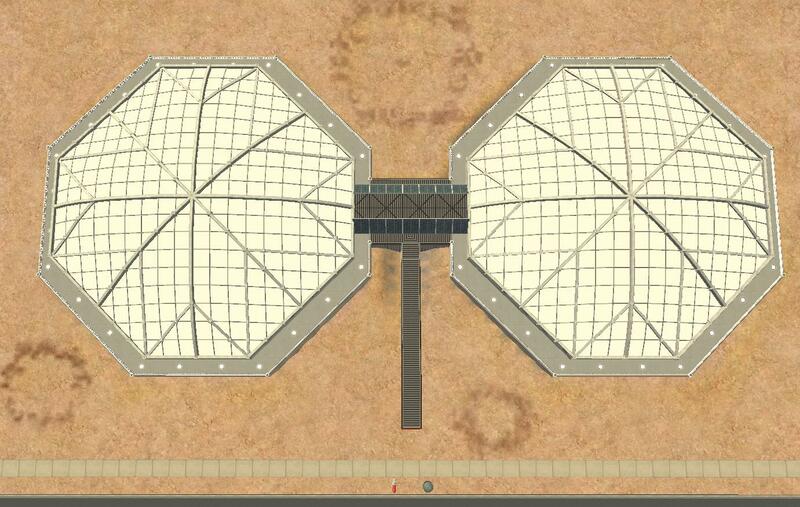 DO NOT remove those floor tile shells until you are COMPLETELY done with construction within the dome. Floor tiles act as a sort of anchor for the CFE work on the domes- without them there, you'll likely see all sorts of unwanted distortions to the dome whenever you build a new wall or column or what-have-you. Also, building too close to the exterior walls supporting the dome can cause your additions to poke through the dome itself, kind of ruining the effect of the dome in the first place. In much the same way that you can’t build right up to the edge of a lot (well, not without cheats, anyways! 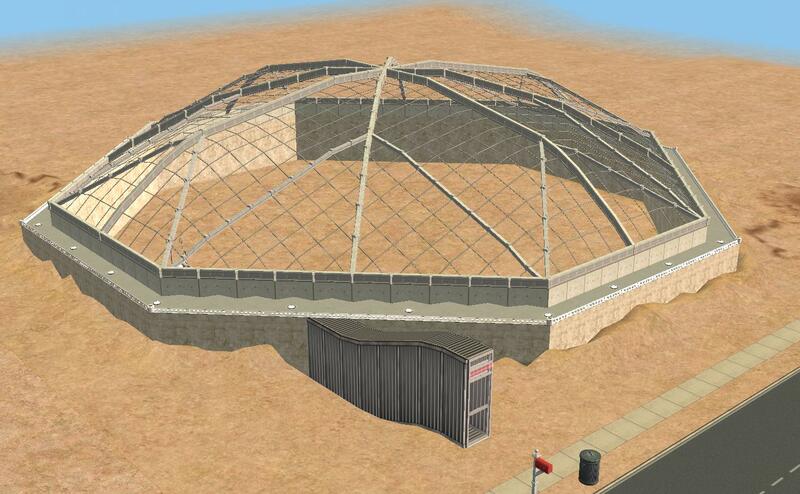 ), you won't want to build right up to the edge of these domes either. In any event, I highly recommend regularly checking the dome level, to make sure you're not running into trouble with this as you build. I can say, from personal experience, that it's really frustrating to put an hour's work into a building, only to find out that it's ripping a hole in the top of your dome once you look at the entire lot! Another heads-up, when it comes to first enclosing rooms on these lots- for whatever reason, it takes a LOT longer to process than it does on normal lots, but it DOES still work. You may want to do most of your construction with a gap left so that none of the space is considered to be "indoors" until you're sure you have them the way you want, since it can take several minutes to process before you're able to do anything more. I have no real idea why this is (my guess is that it's something to do with CFE), but as I said- it does work, it just takes a while! Once you've finished your construction within the domes (and I mean COMPLETED- be sure you're actually done before you move on to this final step! ), you can erase the floor tiles that make up the dome itself, giving you the transparent effect that you'd really want to have for a dome like this. Just go into the flooring tab in Build Mode and select one of the unaltered and unoccupied tiles along the outside edge of the dome, and CTRL+Click+Drag to erase the floor tiles on one side, then again on the other. Once again though, be absolutely sure you're done with any construction within the dome that creates or alters the level of floor tiles, as changes to them once the dome is no longer anchored by its shell can result in unwanted changes to the dome itself. As some of you may remember, I've mentioned writing a Mars Colonization & Terraforming Challenge before. I'm still working on it, albeit very slowly, but this month's theme has given me the inspiration to at least finish a portion of it! 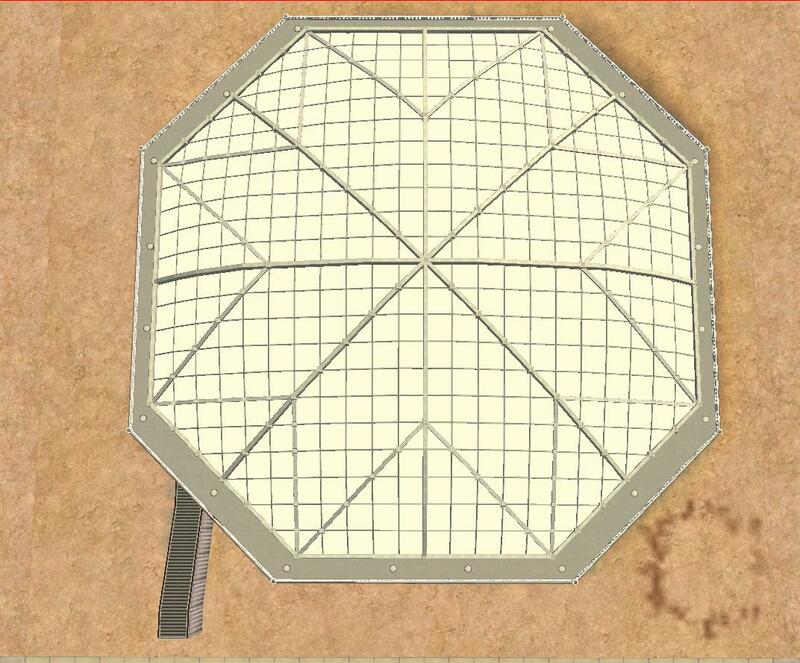 Quite a few people have asked me about how the domes on my Galileo Station lot actually work, or how they can make their own extraterrestrial settlement in a similar fashion, and since that's exactly what that challenge will (hopefully ) end up including, one of the things I wanted to make available were domed structures that were already started, saving you the hassle of dealing with all the requisite CFE work, and giving me an opportunity to kind of fill you in on how best to create things within domes like these. While I did some landscaping for the exterior Martian surface, and included some items in the none-domed portions of some lots (particularly the largest Pavonis Mons Dome), the octagons within the domes themselves are completely level, unpainted, and empty except for an atmospheric regulator (read: random collection of Build Mode items that looks appropriately science-y ), so you have plenty of space to build within them. 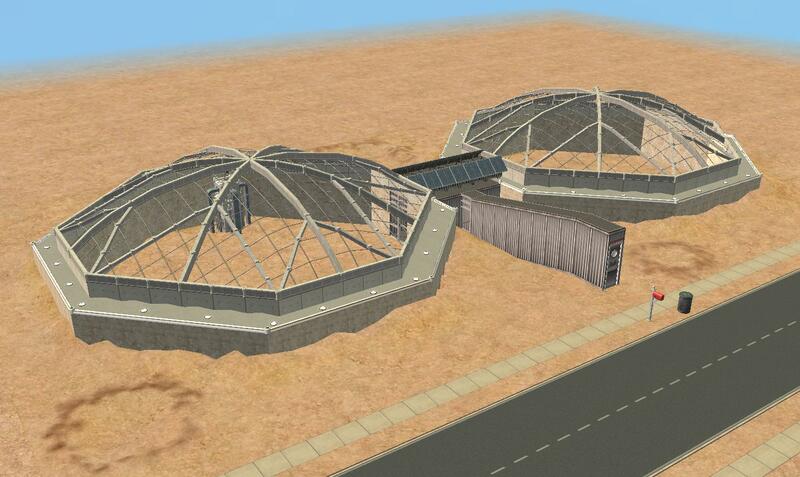 I'm not including information on how to build the domes themselves here, BTW... you can find information on that in this tutorial I wrote on dome-building. 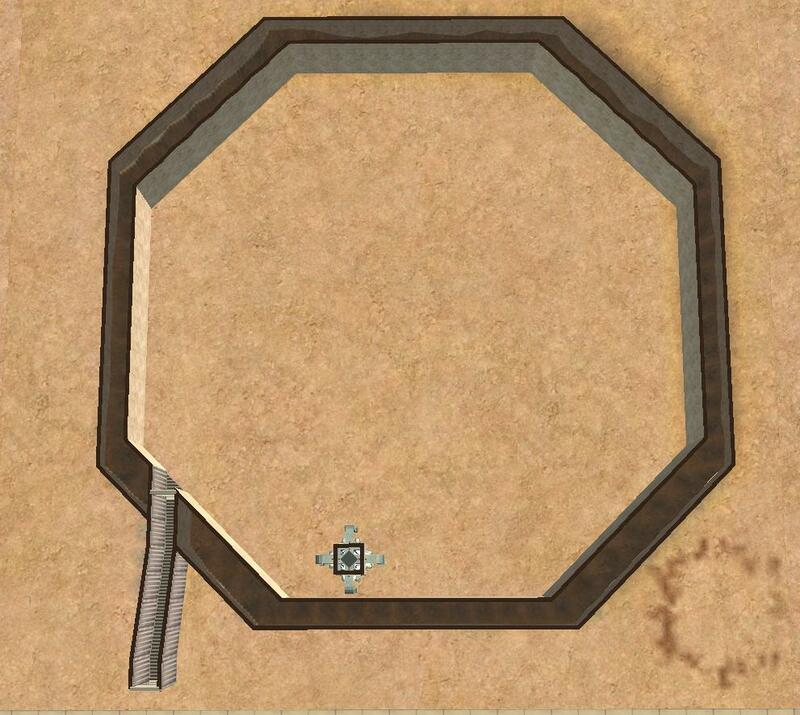 1 buildable level inside dome. 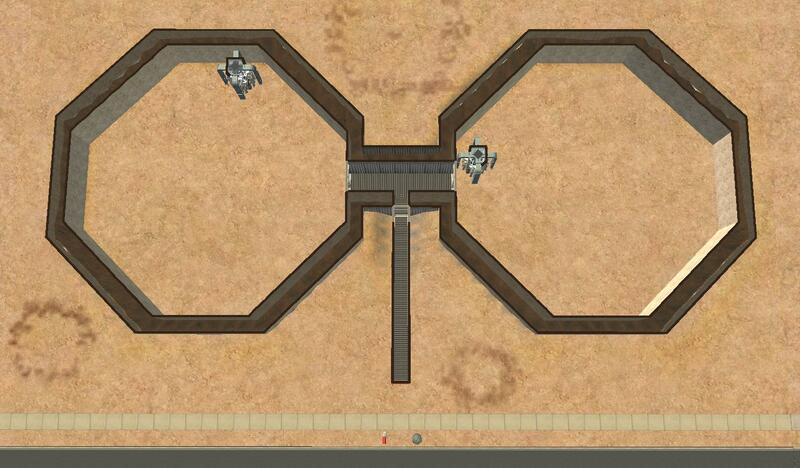 1 buildable level inside domes. 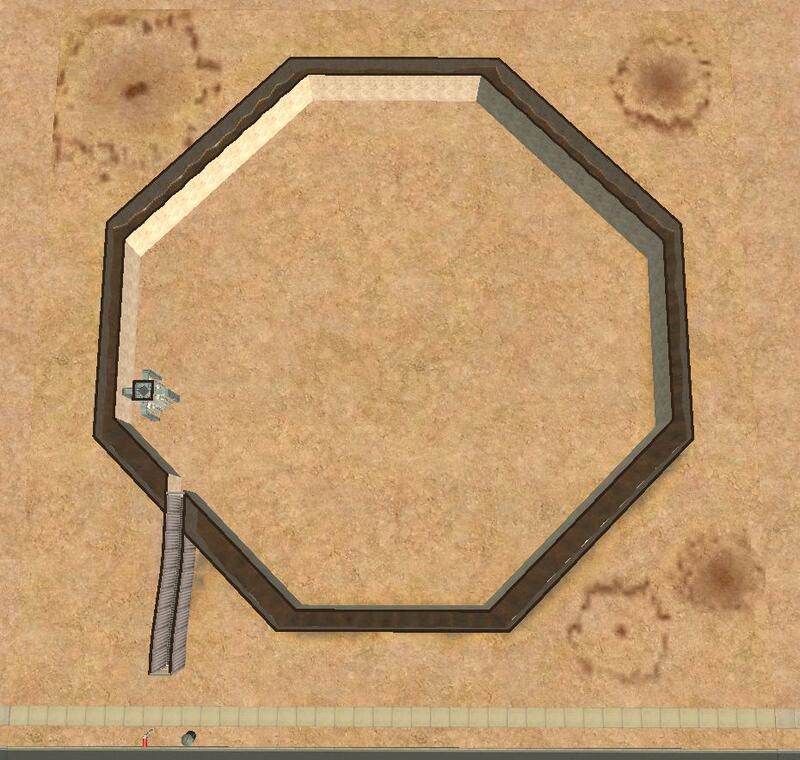 2 buildable levels inside dome. 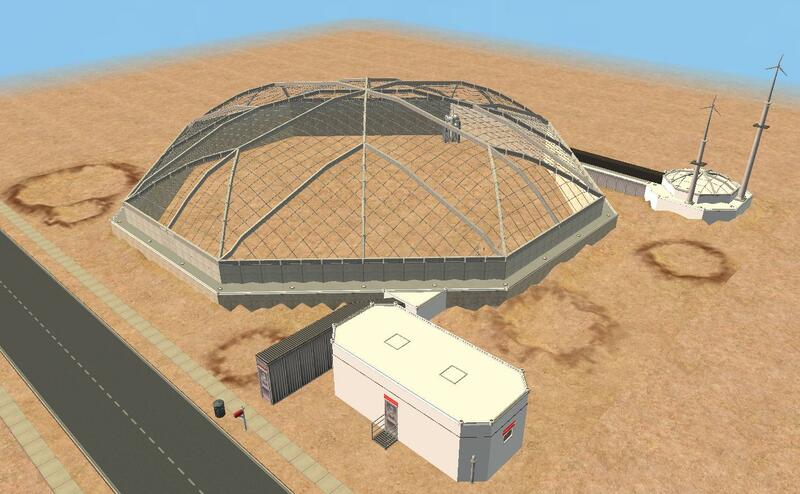 As always with the lots I build, none of these domes include any CC whatsoever. All EPs and M&G are required, and I've listed all SPs as required just because I don't remember where everything came from… you can probably get by without having ALL of them, but I leave that to your discretion. As uploaded, these are all residential lots- the logic behind this is the same as why other lots that have lots of flexibility in their use have been uploaded residential- it's much easier to change the zoning from residential to something else than vice-versa. 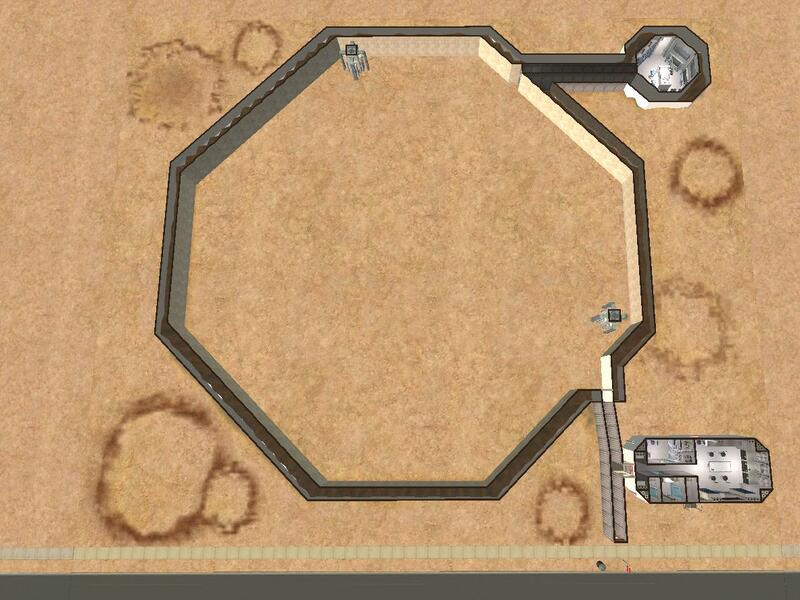 As it stands, these are very very unfinished lots- the Pavonis Mons Dome is the only one that actually includes anything for your Sims to do before you construct more on the lots yourself, so you'll need to do a lot of the construction here yourself, and you can go in all sorts of directions with it. 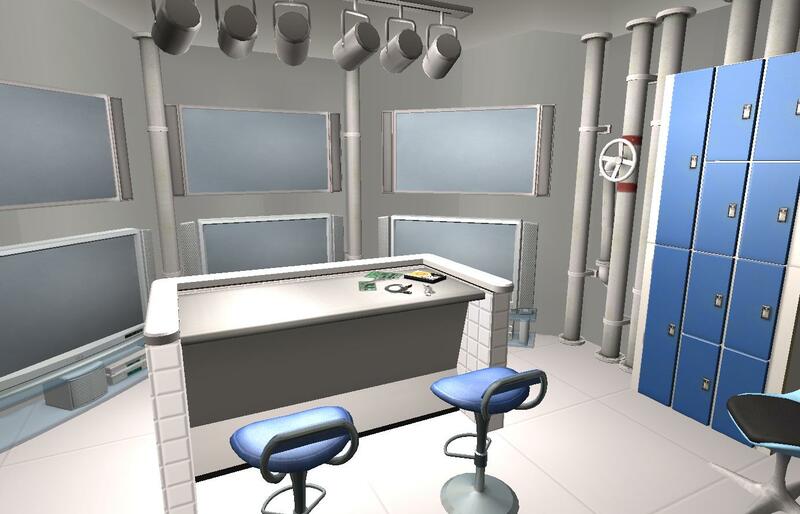 Feel free to post screenshots of your creations in the comments here- I'd love to see what you come up with, and it might give other members some good ideas! Not that there was that much to playtest, but I did playtest clones of all four lots, and found no issues on any of them (really, all that means at this point is that Sims can walk around successfully inside all the domes). As always, if you run into trouble that I haven't already explained how to address in this description, let me know and I'll try to help you out! Enjoy!